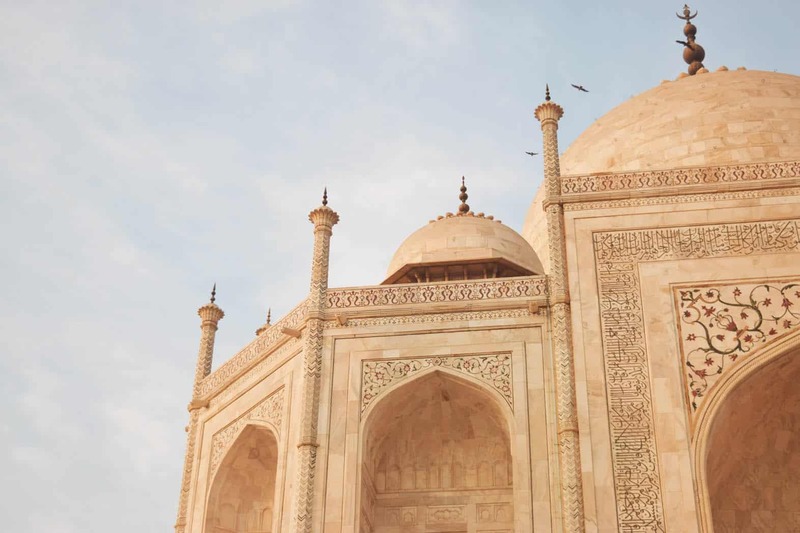 This Golden Triangle itinerary is a guest post from Neha. You know how sometimes you visit exotic places around the world and even blog about them, yet forget that your own backyard (so to speak) is exotic to so many people around the world. I have lost count of the number of times I have done an Agra trip from Delhi or spent a weekend in Jaipur. And here I am, living in Delhi, and yet never having completed an entire Golden Triangle circuit in one shot. 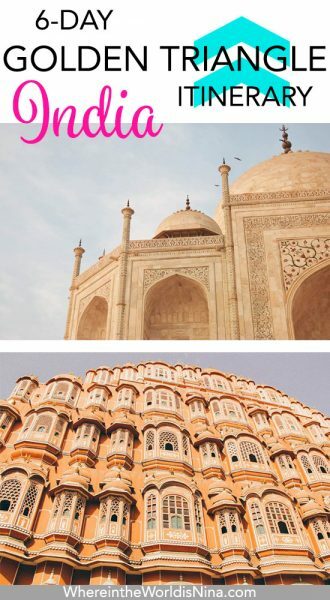 So when a friend from the US wrote to say that she was visiting India for the first time, and asked if I would accompany her around the Golden Triangle, I naturally jumped at the offer! The Golden Triangle itinerary in the Indian context refers to the three cities of Delhi, Agra, and Jaipur. There are many ways to do a Golden Triangle itinerary, depending on how long you have. If you speed through everything you can cover it in three days but where’s the fun in that, right? If you are a slow traveller, you would probably prefer to spend seven to eight days in the Golden Triangle. In my opinion, six days is a good length of time for this India itinerary. If you have more time, you can extend the trip by adding another destination (I’ll mention some ideas later). People usually begin the Golden Triangle trip from Delhi, simply because this is the international airport of arrival in most cases. I would recommend two days in Delhi because (a) jetlag (b) sprawling city and huge culture shock. Take it slow and ease yourself in. Here are some of the places I would recommend you don’t miss while in Delhi. Traveling India as a beginner – see Delhi’s Qutub Minar. 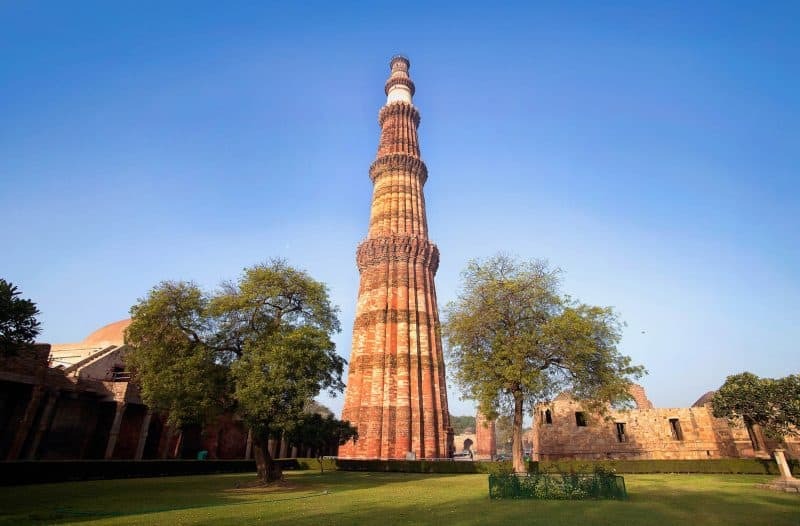 This is a 12th century stone minaret, the tallest such tower in India. It is now a UNESCO World Heritage Site and an essential part of any Golden Triangle itinerary. This is one of Delhi’s most famous museums, with collections showcasing India’s ancient past from the point of view of archaeology, painting, jewelry, armor, etc. If you enjoy museums, you might enjoy spending an afternoon indoors here. This 16th-century tomb of the second Mughal ruler is another UNESCO World Heritage Site. The tomb and its extensive grounds have recently been restored and are worth a visit. The tomb was the first example of the garden tomb style of architecture in the Indian sub-continent. 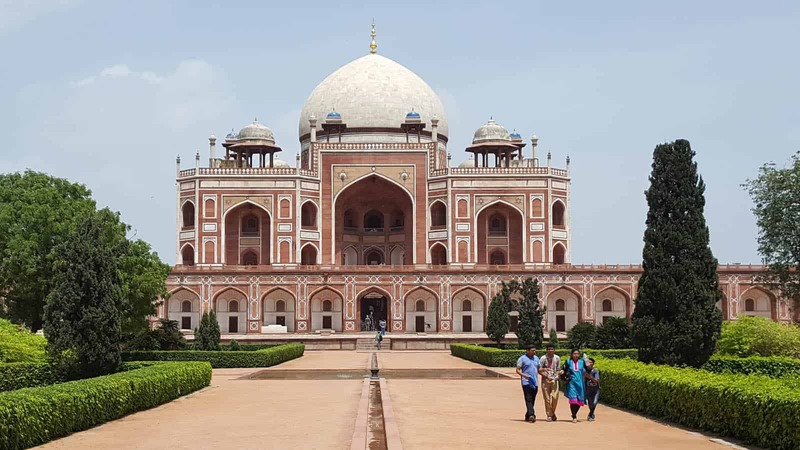 Humayun’s Tomb—the best preserved Mughal monuments. Dilli Haat is an open-air crafts market run by the Delhi Tourism authorities. It essentially brings together craftsmen and artisans from all across India into a single venue, making it an excellent place for out-of-town visitors to get a feel of Indian crafts and pick up some gifts for folks back home. Dilli Haat is also famous for its food stalls with cuisines of various states for visitors to sample. I love visiting Dilli Haat; you never know what treasures you might find. You can check updated visiting hours, entrance fees etc. here. Not a lot of tour guides will tell you about it, but trust me, you should visit. This Sikh temple is one of the holiest and most popular ones in Delhi. I find it a particularly soothing place to visit. People of all faiths and backgrounds are welcome, and there is a running kitchen that feeds free meals to anyone who wishes to eat there. You will find volunteers performing services at every corner. The older part of Delhi is another world of its own. In Old Delhi, you will find the famous Jama Masjid mosque, the Chandni Chowk market with its narrow lanes and by lanes, hundreds of rickshaws, an age-old spice market, a street devoted just to parathas (a type of fried flatbread), and so much more. It takes some gumption to venture into this crowd though, and I would recommend doing it in the company of others. A number of local companies offer guided walking tours of various types. Delhi Tourism also runs a Hop On Hop Off bus service, which you can try if you want an orientation tour of the sights of the city. You can find details on the official website here. The highlight of anyone’s Golden Triangle India itinerary tends to be the stay in Agra. 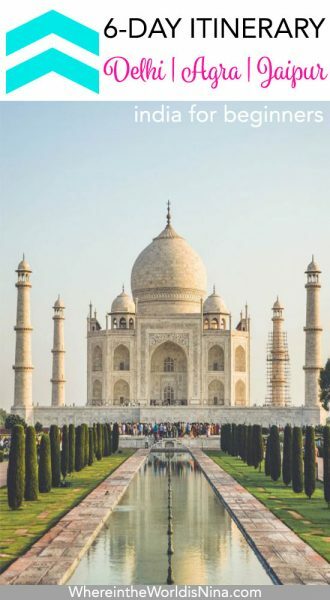 Not because Agra is a popular city – it’s rather a small town with nothing much to do really other than the tourism angle—but because it’s the home of the Taj Mahal. I would recommend staying one night only in Agra, as it’s a small town and you can very easily cover all the sights in this time. Lying about 10km outside Agra’s city centre, this monument is the mausoleum of Emperor Akbar. Since he believed in the unity of religions, as per his wishes the design is a mix of Hindu, Islamic, Christian, Jain and Buddhist themes. Though visited by fewer people than the main monuments of Agra, in my mind it is an unmissable part of an Agra trip. 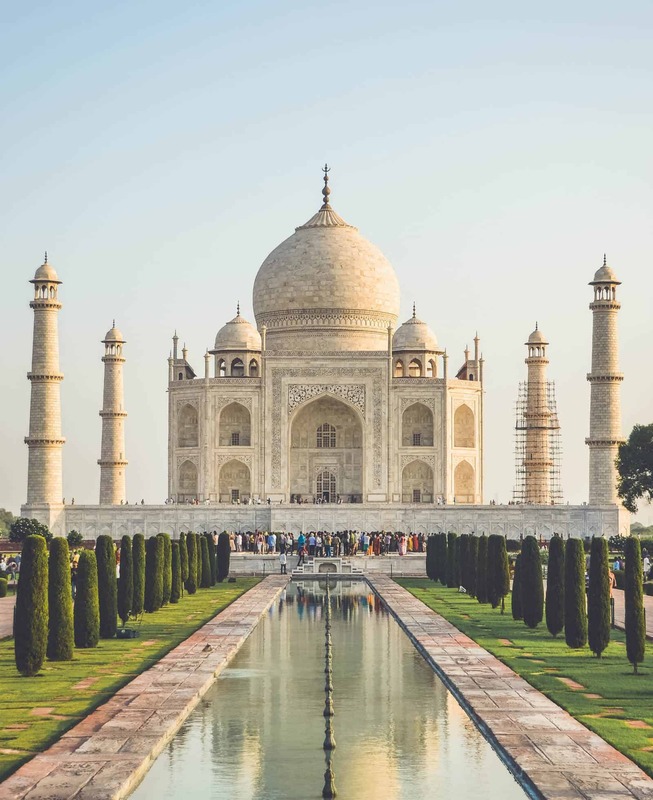 Taj Mahal—An obvious must-see during your 6 days in India. The Taj is arguably the best known and most visited monument in India, and once you’ve seen the rising sun’s rays fall on its marble dome, you’ll fall in love with it too. The security checks here can be quite strict and you aren’t allowed to carry even your mobile phones inside. Time your visit for the early morning to avoid crowds. Taj Mahal is UNESCO’s World Heritage Site was the winner of the New Seven Wonders of the World contest. Though essentially a mausoleum, it now stands as a symbol of love. This fort, another UNESCO World Heritage Site, used to be the seat of the Mughal Empire from which India was ruled, till the capital was shifted to Delhi by Emperor Shah Jahan in the 1630’s. You can spend a good hour or so strolling through the various halls and palaces inside the walled compound. From one of the river-facing pavilions of the fort, you can also get a good view of the Taj Mahal. About an hour’s drive from Agra on the route to Jaipur lies Fatehpur Sikri, the sandstone city founded by the Mughal Emperor Akbar. It was abandoned within a few years, supposedly due to a scarcity of water. Today it’s a ghost town, but the beautiful buildings and palaces still survive. If you are driving between Agra and Jaipur, you will pass it and can stop here. The last stop in the Golden Triangle itinerary is Jaipur, the capital city of Rajasthan state. Most people stay a couple of nights here. Apart from sightseeing, Jaipur is also famous for its food and shopping. My personal favourite part of the Golden Triangle itinerary is Jantar Mantar, perhaps because there aren’t too many like it. The open-air observatory is located just next to the City Palace and was built in the 18th century by the Rajput king Sawai Jai Singh II. The larger than life instruments here measure time, track the movement of stars, forecast sunrise, predict eclipses etc. Jantar Mantar Observatory also has the world’s largest stone sundial and is rightly a UNESCO World Heritage Site. 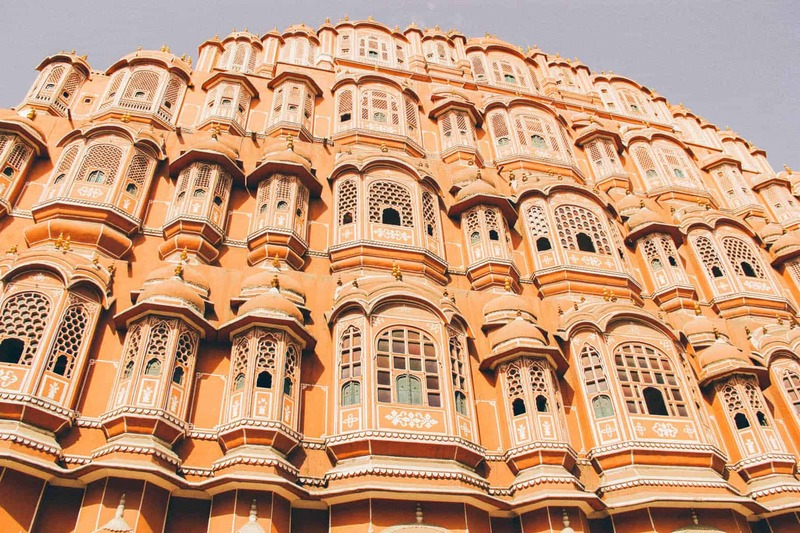 You’ll have to stop by the popular Hawa Mahal Palace just next door as well. Hawa Mahal Palace is one of Jaipur’s most famous buildings. Amer or Amber used to be the capital of the Kachchwaha dynasty till Jaipur became the new capital in 1727. The fort is about a 20-minute drive outside Jaipur town, and worth a morning’s visit. I always take the shared jeeps from the parking till the fort gate as the other option are touristy elephant rides (don’t support this practice). The fort offers a great vantage point for photography. Amer is also where you can feel like royalty for an evening by dining at their restaurant 1135 AD. The City Palace is where the royal family of Jaipur used to live; in fact, a part of it is still in private use by the former royals. The area that is open to the public has displays of art, textiles, armor etc. from the old Rajput warrior days. Quite informative. The streets around the City Palace are a haven for street shopping of all kinds. Save your entire street shopping for here! In and around this area as well as in areas like Bapu Bazaar you will find amazing textiles, footwear, jewelry for all budgets, pottery, spices etc. A lot of shops in Old City market is closed on Sundays though so plan ahead. 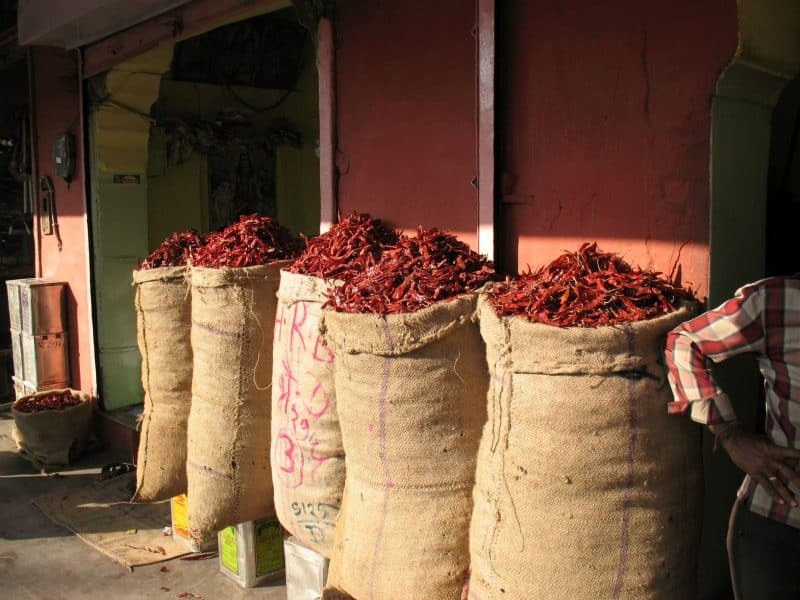 The aroma of spices in the market of Jaipur. If you have time, take out half a day to venture into the countryside. We drove out about 40 km away from Jaipur to the village of Samode. While my friend enjoyed discovering what a real Indian village looks like, I loved exploring the palace of Samode. The Samode Palace is now a hotel and allows day-visitors to stop in for lunch if you call ahead. This sort of thing makes a welcome change from the urban-ness of a typical Golden Triangle itinerary. In case you are curious about Indian food, here are some dishes you can try out during your visit to Delhi, Agra, and Jaipur. You can also try a food tour to get the low down on everything from a local. 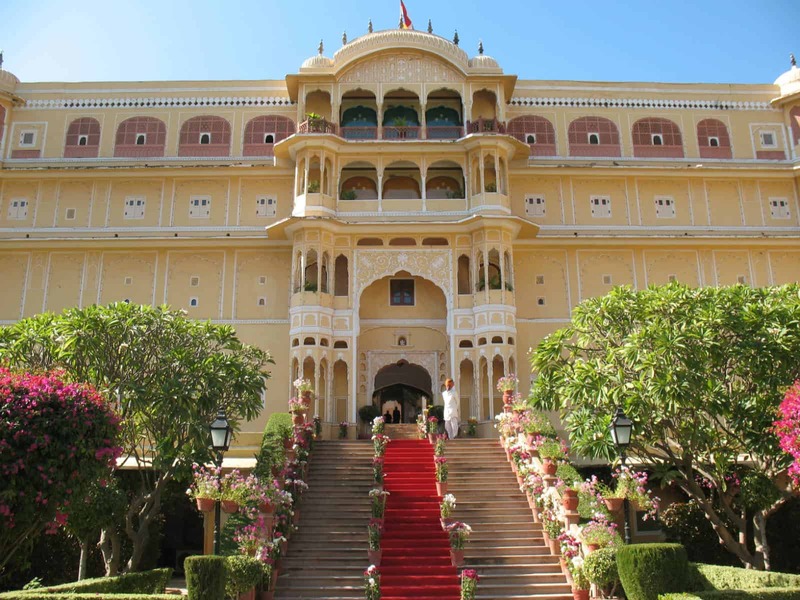 Get a bit off of the typical Golden Triangle itinerary and visit Samode Palace. If you are keen on wildlife, you could add a night in Bharatpur (for bird-watching) or two nights in Ranthambhore (for tiger tracking) between Agra and Jaipur. If you want to explore a little more of Rajasthan, you could drive from Jaipur to Jodhpur for a couple of nights and take the flight back to Delhi from there. If you feel that the Golden Triangle has given you enough of history and culture for a while, you could take a flight from Jaipur to Goa and relax on a beach for a few days. What are your thoughts on this Golden Triangle itinerary? Are you excited? Let me know in the comments below! Neha Sharma lives in Delhi, India and is a part-time blogger who loves to travel, usually solo. 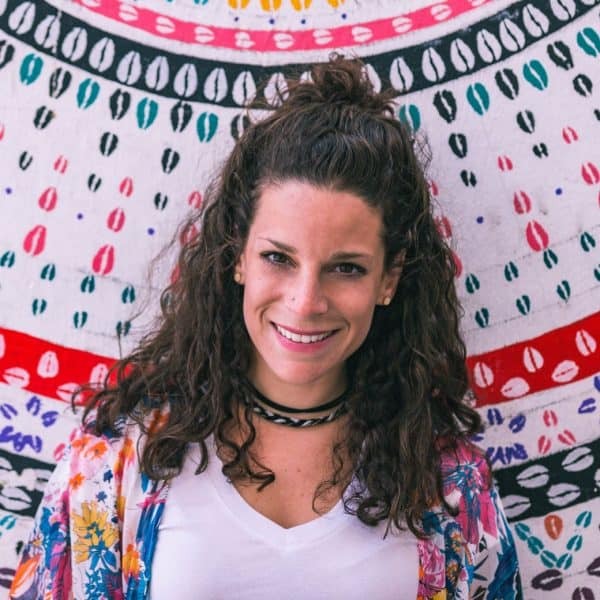 She started her blog Nomadic Dreamz in 2017 as a way to share her travels with others. When not planning strategies at her full-time product job, she is busy researching her next trip! Don’t lose this post! Click the picture to pin for later. Thanks for sharing a nice and helpful article for those who travel India. Hey Nina! Thanks for sharing your knowledge, it is exactly what I needed! Just one question: do you think it is possible to do this tour in 7 days with trains/buses? Golden triangle is really awesome. I like very much this place. Your blog is very helpful for traveling in India. Great information. Thanks for useful info shared. I really love this place, and Taj Mahal is one of them. my name is Nini and thanks for the awesome suggestion you u provide here. If you dont mind could you share with me on how much food expend that i might spend per day in India. Its good if you can give me information on the food price and how to get ticket train from delhi to go agra and jaipur.. which station you recommend and such.